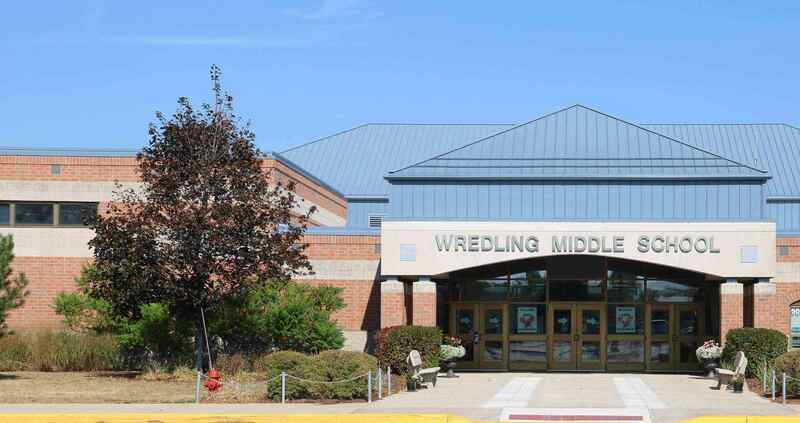 Wredling Middle School first opened its doors in the fall of 1995, creating for the first time a third middle school in the St. Charles Community Unit School District 303. Wredling remained on its original site at 255 Red Gate Road until the year 2000, when as originally planned, it moved across the river to 1200 Dunham Road. The elementary schools feeding into Wredling Middle School are Anderson, Fox Ridge, Munhall, Lincoln, and Norton Creek. Also included is a small population from Davis and Richmond. We appreciate the accomplishments our students have achieved as a result of their preparation from these schools and we are certainly fortunate to have such a supportive parent population! We encourage partnerships with our families and our community so that together we may maximize the educational opportunities for our schools.